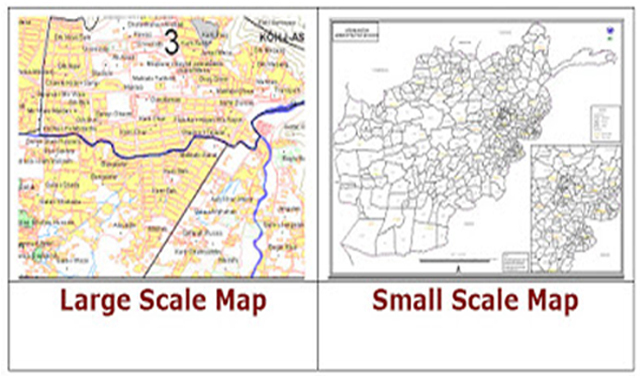 Three terms are frequently used to classify maps according to scale. The scale values attributed to each class is the following: Large-scale maps show small portions of the earth surface; detailed information may therefore be shown. Small-scale maps show large areas, so only limited detail can be carried on the map.